I’ve spent the last 20 summers on staff at Rockmont. Twenty sounds like a long time, but the summers have gone by fast. I’m lucky enough that I get to spend the school year teaching 6th grade, and then in the summers, my family and I get to come to Rockmont. In these summers at Rockmont, I have learned how this place is much more than a summer residence, and it’s much more than a place to just come have fun playing games and camping. It becomes a part of you. I work with the oldest boys in Mountain Camp but I also get to know a number of the younger guys through skills, campouts, little brothers etc. This summer, and especially these last 4 weeks, we have had an older group of campers who have been phenomenal. It’s not that they don’t make mistakes or have conflict (we are men after all), but it’s their commitment to each other and to the community of this place. I have seen these campers stand up for what is right in hard situations, I have seen them learn to ask for help from counselors and from each other. I have seen them hug each other in victory and hug each other in defeat. I have seen some of the closest friendships I have ever witnessed between some of these campers, and I have seen them learn what it means to love a cabin-mate who is dramatically different, even when they don’t get along. These are young men I’m glad my sons are around. And I remember when I met most of these older campers for the first time. I remember when some of them were shy 11 and 12 year olds. I remember how some were so full of energy that they couldn’t ever sit still or control themselves. I remember the conversations they had with me or their counselors about the things they did well, and the things they didn’t do well. I remember the specific challenges laid before them of what it means to honor others with their language and what it means to lead without being in front. I know the character of these young men is not just due to the fact they were at camp these summers. I know they have had numerous adults pouring into them these years. I know they have had teachers, relatives, parents of friends and of course their own parents shaping who they are. I am lucky in that I get to see a snapshot of them every summer. I get to see how God has been at work in their lives through the years. And it doesn’t stop with campers. So many of our staff started as campers. Even some of our directors were campers here. I have been able to see fun, life-giving campers turn into fun, life-giving adults. I know that men have poured into them while they were here, and that is one of the reasons they are here to pour into others. We all stand on the shoulders of giants. We all walk a path that other men have marked for us. We make our own decisions, but the influence of those who have gone before us is great. We have 3 full days of camp left. Closing day is one of the hardest days of the summer. It’s hard to say good bye to campers who have poured their heart and soul into each other and into this community. Some have been here 23 days living life together, pushing each other, holding each other up. It’s hard to leave that. But I rest in the fact that this good bye isn’t an end. I hope to see many of these campers again next summer as campers. I hope to see another snapshot of their life, another picture into how God is working in their life. Even those who are aging out as campers, I know many of our paths will cross again. Some will come join us on staff in the years to come, and many will stop by with their families to visit some day. Even those who never come back, I know they continue to do the good work they did here. They will continue to bring God’s love where they go. I know this because God has started a good work in them, and He is faithful to complete it. 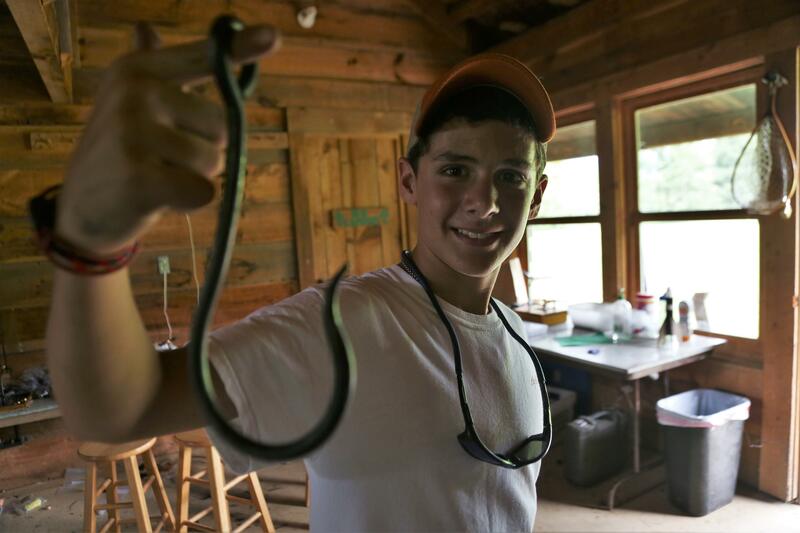 These boys who come to camp here become a part of who we are at Rockmont, and our community becomes a part of them. It’s a great metaphor for the body of Christ. We are united together in purpose because of Christ, and wherever we go, whoever we are with, we are still united together as sons and daughters of God. So as I see our older campers leave for the last time as campers, I smile because I know they leave with Christ. And as I see the younger campers come back time and time again, I see the hope of the Gospel; God at work in us.